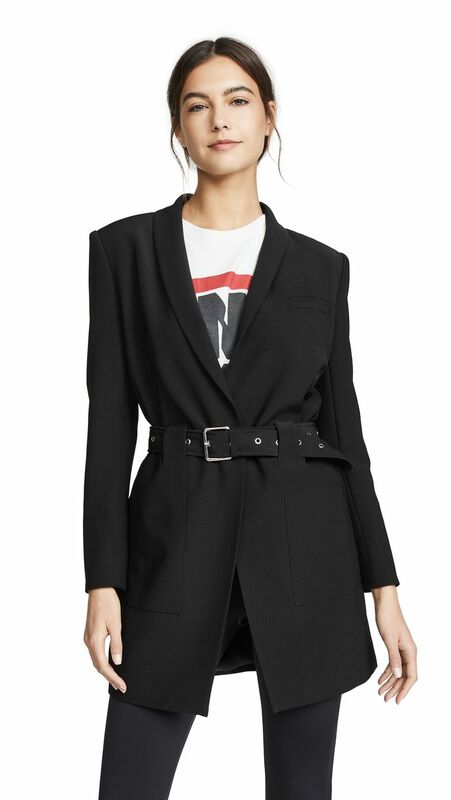 Not too long ago, while working on my weekly new arrivals story, I came across this belted blazer by Anine Bing. Intrigued by it, I thought to myself, That’s the kind of thing you can wear every day without getting sick of it. A non-basic basic, if you will. I’m sure you can guess what happened next, but in the interest of clarity, I’ll just tell you… I pitched a story, of course! I figured that if this lovely jacket exists, there must be more pieces like it that can mesh seamlessly into one’s existing wardrobe but also take things up a notch—and I was right. 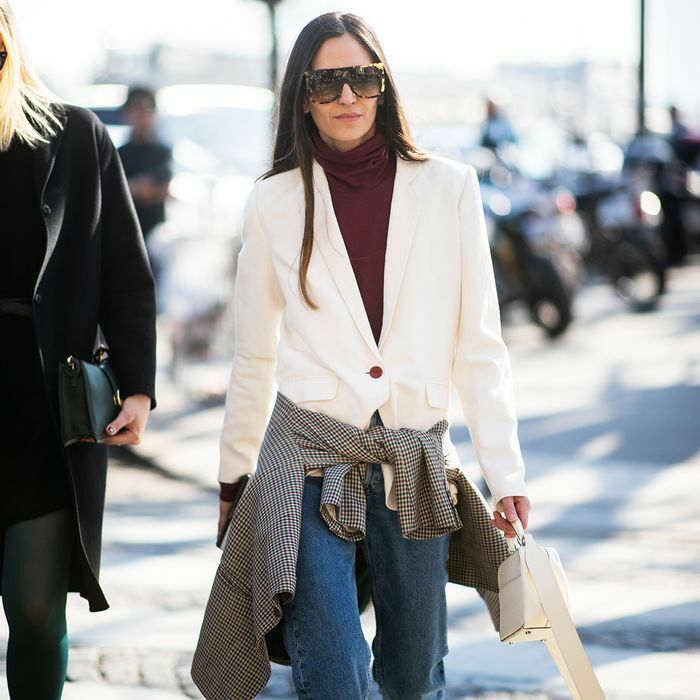 From jeans and T-shirts to blouses, shoes, and totes, there are a lot of such pieces, and I’ve rounded up my favorites here for you today. Just keep scrolling to shop my picks of the 23 most stylish non-basic basics you can but right now. The belt is a game changer. I’m obsessed with white T-shirts, and this might be my new favorite. Even leggings aren’t exempt from cool details. Spring—aka block-heel-sandal-season—is coming. Buy these now. This will look so good tucked into high-waisted jeans too. Why wear basic pants when you could wear these? Even your jean drawer deserves an upgrade every so often. Little details make a simple bag stand out. This is the kind of thing I dream about at night. I might just have to buy these myself. Whether for workouts or the weekend, you deserve these. The button-down shirt has come a long way. Everything is better in tie-dye. In case you’re sensing a theme here, belts make a big difference. You could probably wear these with every single outfit you own. All fleeces are not created equal. We all need a little neon in our lives (and spring wardrobes). You can never go wrong with anything Jacquemus. I’ve never been this excited over a black tote. The easiest way to incorporate the beige trend into your wardrobe. Bike shorts will be everywhere this spring—why not wear a pair that will stand out? Up next? 21 shopping picks I loved in the month of February.